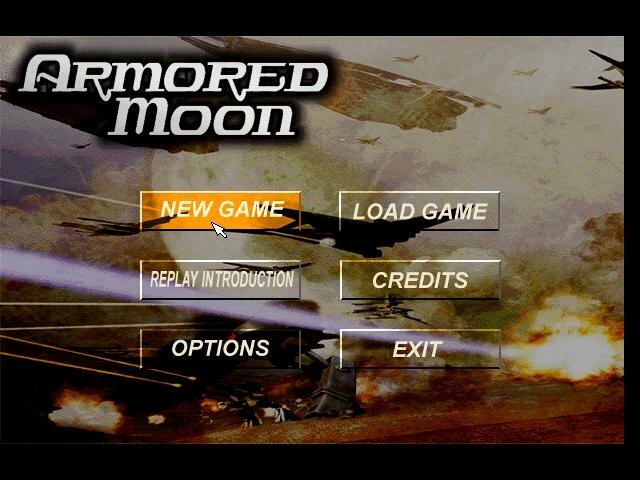 Armored Moon is real-time strategy on a budget. 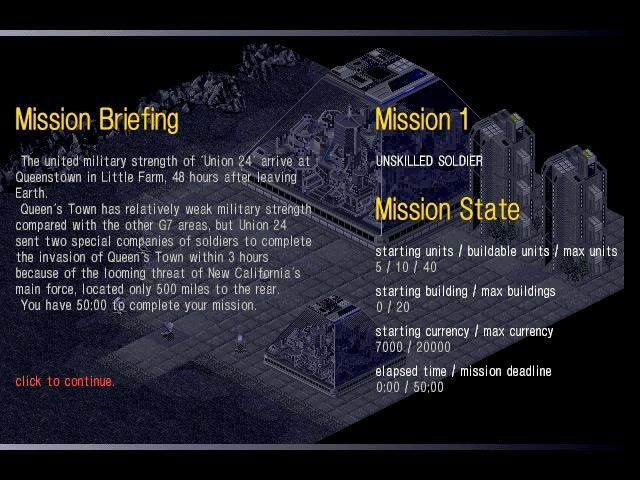 It does not have 3D terrain, multiplayer capability or fancy engine-rendered cutscenes. What it does have is a low price, going for about 20 bucks on the time of release. The year is 2069 and Earth’s colonies thrive on the Moon. Unfortunately, there is a major disagreement over who should control the thriving. The bad guys, called G7, want the Moon for themselves. The good guys, called Union 24, want to keep them from getting it. Unfortunately for us playing the damn thing, it looks like a war is inevitable. 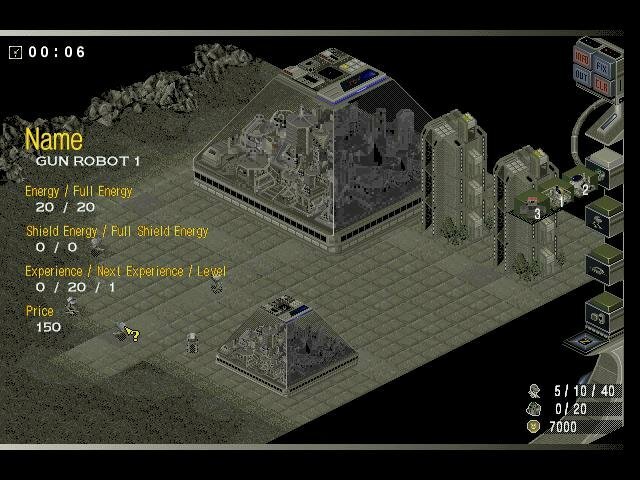 Both sides battle with four types of units: Biped weapons chassis, Fighter spacecraft, Cyborgs, and Suppliers. There are several classes of Bipeds, each with unique capabilities, but only one type of the other three units. Fighters are fighters, and Cyborgs are weak-kneed semi-humans whose only redeeming trait is their ability to capture Towns. Suppliers are interesting units who repair damaged Bipeds. 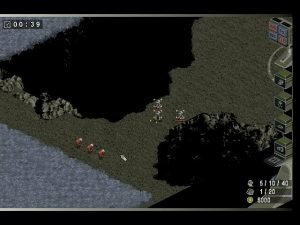 Units gain experience in combat, so it’s important to keep them alive. 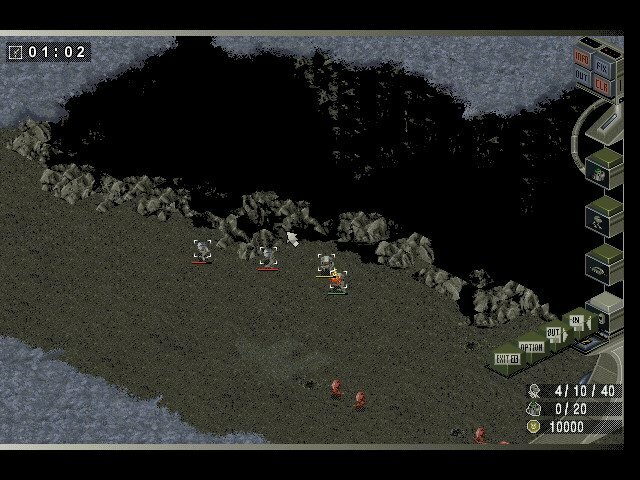 Armored Moon uses a three-quarter isometric view. 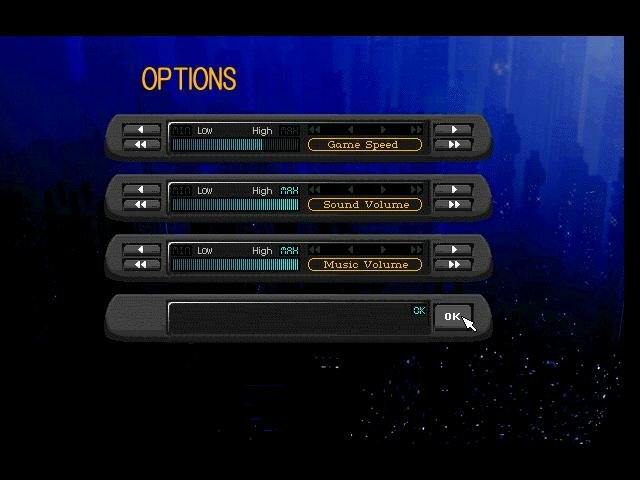 The graphics and sound are good, not great—it’s difficult to distinguish the different Bipeds, and the sound didn’t work on two of the three computers tested. 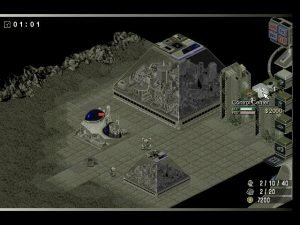 Nevertheless, the ambiance isn’t bad—short ranged auto-cannons chatter, long range missiles paint the battlefield with smoke trails, and the area effect plasma weapons raise multi-tile blue-green explosions. The interface takes about five minutes to master, and the economic model ten more. There are six types of buildings and two types of “currency.” To summon troops you need a Transporter, a Control Center and the currency/stock to buy them. 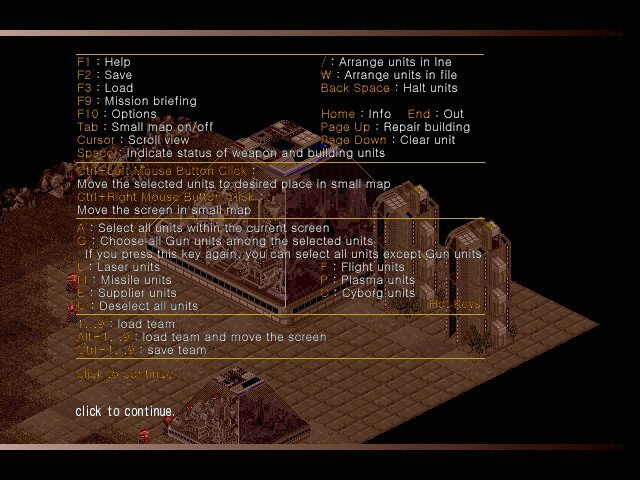 Control Centers limit the total number of units available and Towns limit the cash and stock (i.e. types of units at hand). 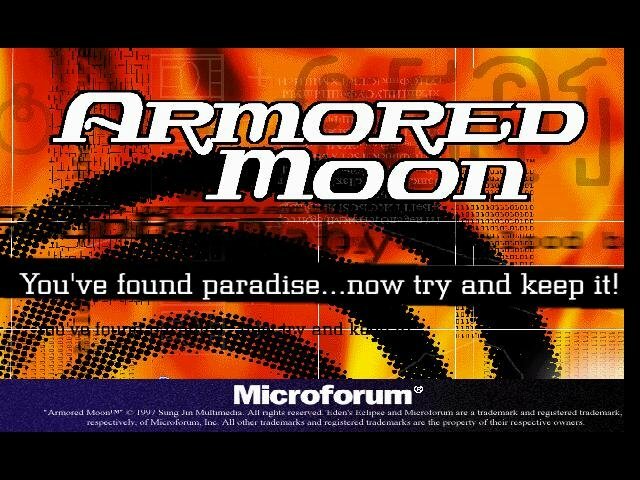 Armored Moon includes ten missions, which isn’t much, and the game isn’t exactly a classic — it lacks the glitz and longevity of some of its higher quality real-time brethren.